The Legatum Foundation, the development arm of the Legatum Group, allocates capital to projects, people and ideas that create sustainable prosperity amongst the poorest and most marginalised in society. The Luminos Fund is dedicated to developing and scaling innovative approaches to learning for the most vulnerable children. It was founded to scale the Second Chance programme (formerly known as Speed Schools) across the globe, which has been supported by Legatum since 2011. Second Chance is an accelerated learning programme which equips out-of-school students with basic reading, writing and math skills. The programme enables those children to compress three years of curriculum into ten months, after which they can re-enter the public school system. To date, it has seen over 115,000 children brought back to school. 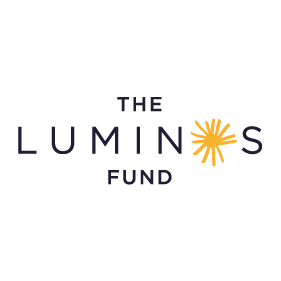 Since being established, the Luminos Fund has expanded from Ethiopia to Liberia and Lebanon. In 2017, the Luminos Fund was recognised with two global awards: the WISE Award from the Qatar Foundation, and the HundrED Global Innovations Award, which it received again in 2018.